Peru's economy has historically been a reflection of its diverse and complicated geography. 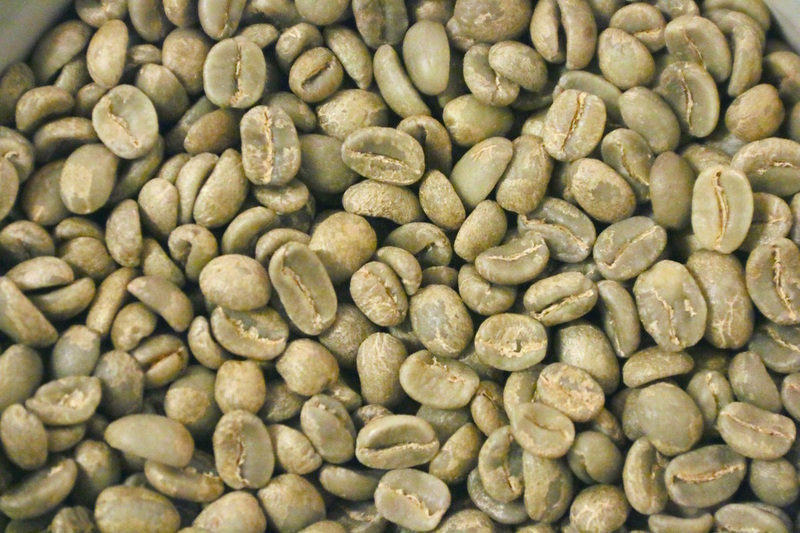 Coffee is their main agricultural export product, it represents about 5% of the total exports of the country; and is also one of the products that exerts greater socioeconomic influence. Coffee came to America with European immigrants beginning the eighteenth century. They introduced its cultivation in Central and South America, and by mid-eighteenth century, coffee was already produced in several regions of Peru for local consumption and exports to Germany, Chile and Britain. The first coffee shop was opened in Lima in 1791. Today, there are about 110,000 farmers, occupying an area of approximately 330,000 hectares of production. The average size of a farm, is from two to three hectares. Most of these farmers are natives and speak Spanish as a second language. 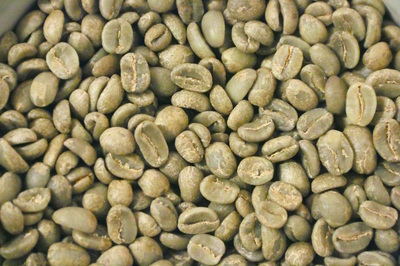 After more than 250 years of cultivation, Typica variety still accounts for over 60% of the total exports of the country. Slowly Peru is getting a strong reputation worldwide for producing high quality, organic and shade grown Arabica coffees. 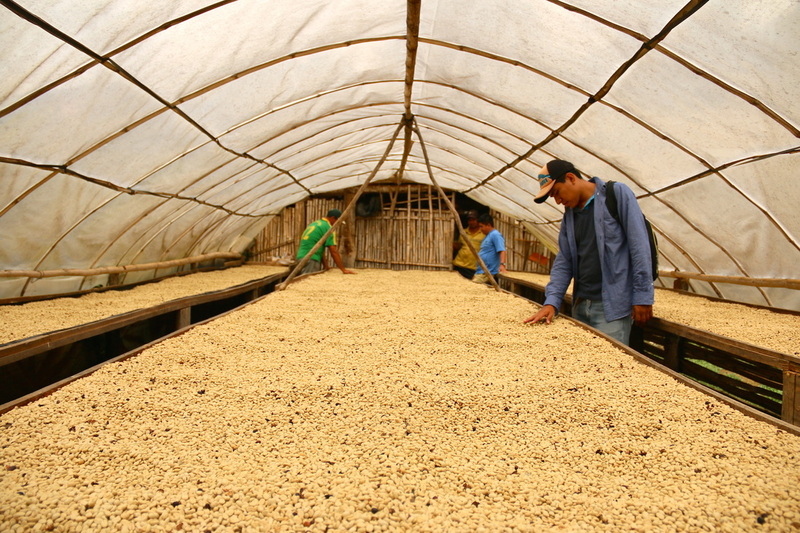 Peru is an excellent origin for growing organic coffee. They have a big range of organic fertilizers that can be applied directly to the soil. A popular one is "guano de las islas", which originates with the excrement of sea birds that inhabit the islands of the Peruvian coast. It is a powerful, natural and very complete fertilizer, which provides all the essential micronutrients and also, makes a contribution of beneficial microorganisms that will enrich the soil microflora. Cenfrocafe's coffee farmers are permanently being trained in the efficient use of this type of organic fertilizers. Another advantage of the direct to soil organic fertilization, is that fewer treatments are required to ensure an adequate supply of nutrients to the plant, compared with foliar fertilization. In addition, the high cost of foliar fertilizers becomes an uneconomic practice for small Peruvian farmers. It should be added that: the use of chemicals in the plant phytosanitary controls, breaks the ecological balance of the environment and soil. There are beneficial microorganisms and insects which contribute to the natural control of pests and diseases. Throughout Peru, coffee is mainly produced in the slopes of the Andean valleys that connect this vast mountain range with the Amazon jungle. This region, due to its high altitudes and ideal temperatures, is very suitable to obtain the best crops performances with high quality. In the cup, it will be a bright citric acidity, chocolate sweetness, medium body and a soft sweet aftertaste. 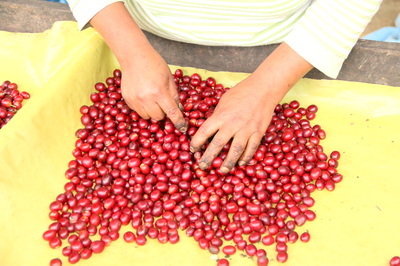 At the very north of Peru, in the deparment of Cajamarca, we found Cenfrocafe. 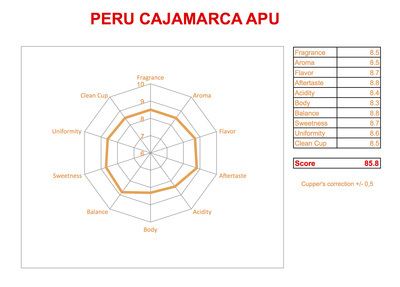 One of the best and strongest cooperatives in Peru, with a good reputation for quality and social responsability. They work with more than 1,900 families (small farmers), associated in 84 bases around the provinces of Jaén, San Ignacio and Bagua. 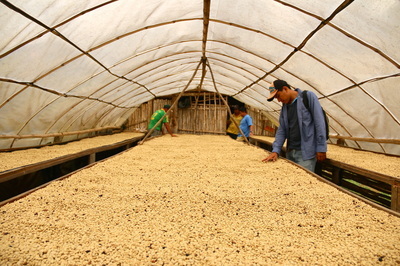 The cooperative work is based on cupping, sorting and preparation of the best lots. Certified Q graders will select lots grown above 1.600 meters, scoring 85 + points and will give them the name of "APU"; then lots grown between 1.200 and 1.600 meters, scoring between 82 and 84 points, will get the name of "CHASQUI". "Apu" in Quechua means "God of the mountain or Supreme Being." The "Apus" in Inca mythology and religion, were spirits of the mountains that protect people living in the high valleys of the Andes. "Chasqui" in Quechua means "Mail or Messenger." The "Chasquis" were personal messengers of the Inca who used a system of posts to deliver messages or objects around the empire. 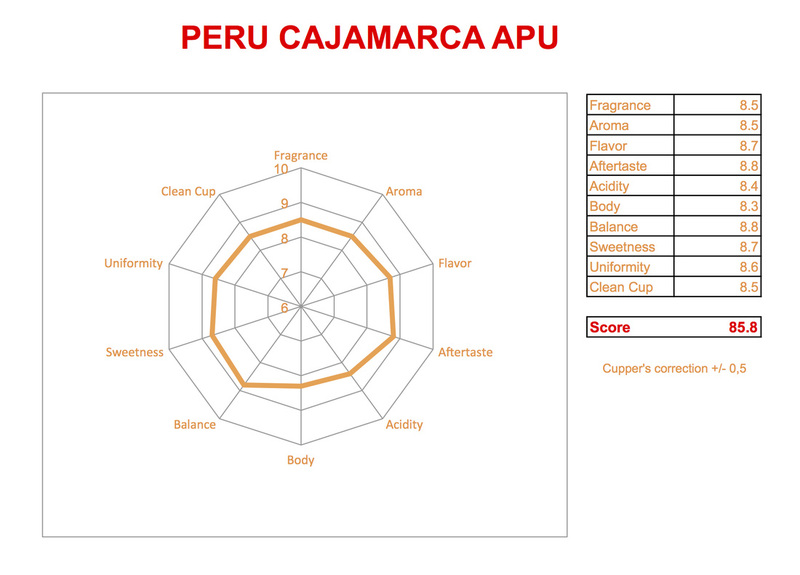 To producers, Cenfrocafe pays premium for each level of quality achieved. They have a training and technical assistance throughout the year, to improve farming practices, productivity and quality; all this will contribute in the end, to the welfare of families and the development of their communities. 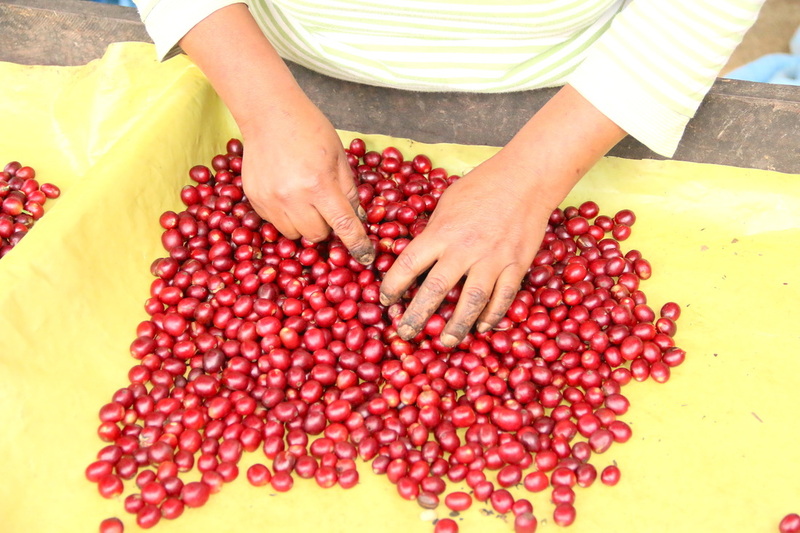 We as Kilimanjaro Specialty Coffees, directly source the "APU" selection only.